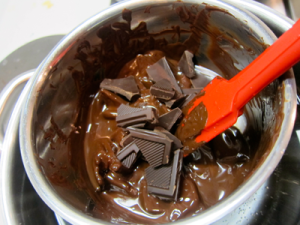 There are three ways to melt chocolate when it is on its own: direct heat, over a double boiler or in a microwave. I far prefer the double boiler method, and the only time I use a microwave is if I’m melting a small amount to pour over something delicious just for myself. I don’t recommend this method, but it can be done with care. You must stir it all the time, and as the chocolate can burn very easily, you must constantly be watching it. Start with small chopped pieces of chocolate. By far the easiest way to melt chocolate. You need a pan and a bowl. The pan will be ⅓ filled with water. The bowl, with the broken pieces of chocolate (or callets), will need to sit on the pan with the bottom of the bowl not coming into contact with the water in the pan. Bring the water in the pan up to a simmer and leave the chocolate to melt. Do not let water get into your chocolate at any stage, as the chocolate will seize and stiffen up. Make sure your chocolate is chopped into small pieces. Put the chocolate in a bowl and into the microwave. Every 45 seconds, stop the microwave and stir the chocolate. 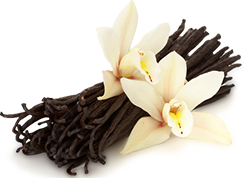 The chocolate in my recipes is all based on couverture 70% cocoa chocolate. I obviously determine whether it is dark, milk or white. 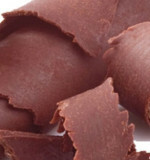 With the majority of savoury dishes, you can use an 80% chocolate, as that will give it a stronger, more bitter taste that goes so well with savoury dishes.